Filed to: what u think ur better than me?Filed to: what u think ur better than me? what u think ur better than me? Ugh. Technology can be stressful, am I right? Even though we’re living in the age of convenience (“internet of things,” et cetera, et cetera) some people want to get analog and abandon their smartphones. I’m totally OK with that! (Depending on my mood, I might even be a little jealous.) But much like “Why I’m Leaving New York” essays, we seldom need to hear your take on why life is so much better without the luxuries of tech. 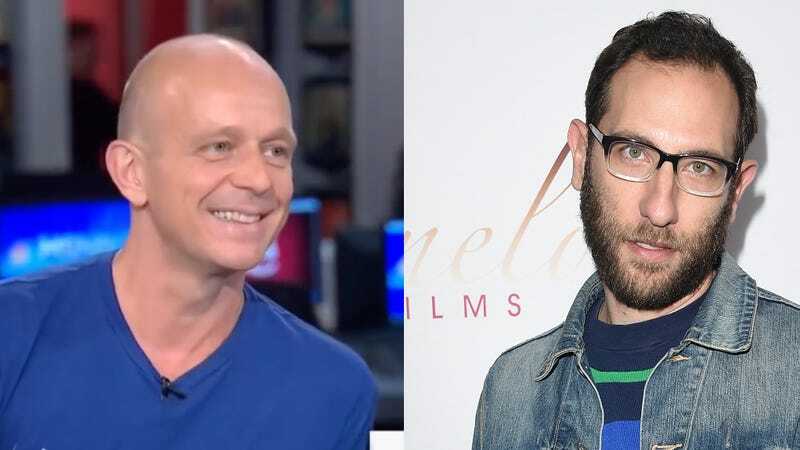 And yet here we are, with an article courtesy of the BBC, about brave men like tech entrepreneur Steve Hilton and comedian Ari Shaffir’s decision to give up dat iPhone life. “If you post a photo on Instagram you don’t need to watch the people saying, ‘Yeah I like it’— people are constantly checking their ‘likes,’” Shaffir told the BBC. ‘Likes,’ inflation of ego, ahhhhhh. And really, hell hath no fury like a male comedian ranting about social media. Nevertheless Shaffir was hooked. He only stopped using a smartphone after he accidentally left his in the back of a cab, and just sorta went with it. He told the BBC that he felt “withdrawal symptoms” and that it was more difficult than quitting smoking. Steve Hilton, on the other hand, is more of a rebel for not using a cell phone because he runs a startup. In Silicon Valley—the center of tech(nology). With no damn cell phone. Insane. Hilton admits that he borrows his friends’ phones four to five times a month. (TBH, it sounds like Hilton has really sweet friends.) Shaffir, on the contrary, says he’s like a “sober alcoholic.” One whiff of that seductive blue light, and boom, he’s hooked again. Shaffir also told the BBC, ‘jokingly,’ that “he feels ‘superior’ to his smartphone-absorbed friends.” Which is my primary issue with non-smartphone users. Live your truth. Just don’t judge mine!